Its slick marketing promises a safe and sound place to live yet retirement village operator Aveo is making a fortune by ripping off Australians through complex contracts and eye-watering exit fees. 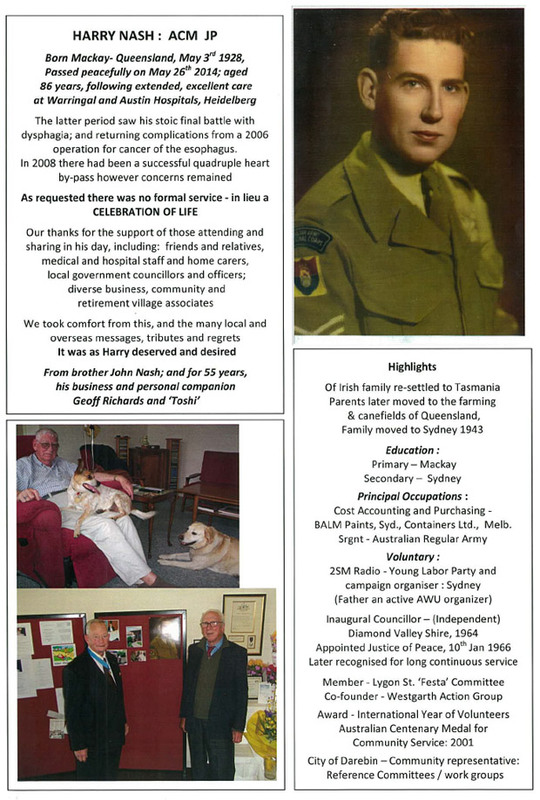 Geoff Richards quietly closed the front door of his unit for the last time. The legal letters had been signed, non-disparagement clauses agreed, and the retirement village operator Aveo was about to have its day. But things started to unravel when Harry lost his battle with cancer in May 2014. 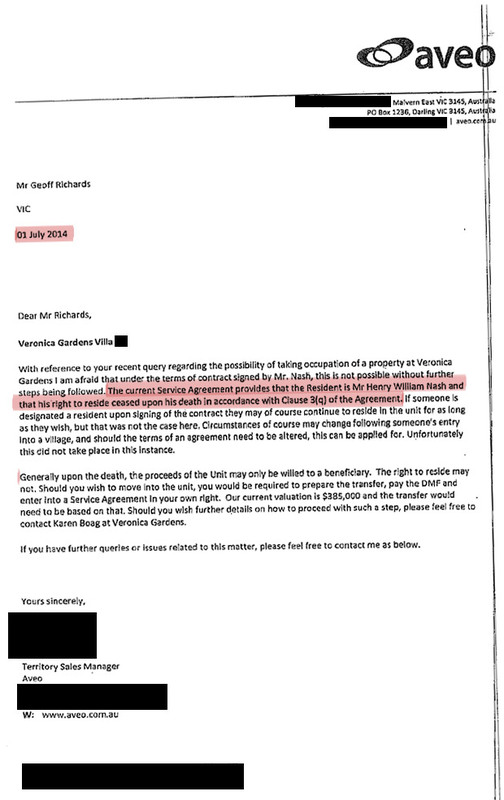 Within weeks of burying him, Geoff received a letter from Aveo telling him he had no right to live in the village, despite being the sole beneficiary of Harry’s estate, including the unit. A joint Fairfax Media-Four Corners investigation into the ASX-listed retirement village juggernaut Aveo can reveal that Richards’ eviction helped them achieve their overall stated business strategy to “turn over” or churn a certain number of residents a year for profit. Fairfax Media-Four Corners has spoken to current and former residents, their children, lawyers, former Aveo staff and lobby groups and has found some questionable business practices at Aveo, including safety issues, misleading marketing and advertising and property sales. It is a brutal business model that is becoming more honed with each new contract. For that kind of money you could rent a five-bedroom house with a pool in the ritzy Sydney suburb of Bellevue Hill or a four-bedroom mansion (also with a pool) in Melbourne’s Toorak, according to properties listed for rent on domain.com.au in June. Posted on 25 Jun 2017 24 Jun 2017 by Jonah A. SteinhausPosted in Advocacy, Ageism, Aging, Baby boomers, Caregivers, Economics, Ethics, Gerontology, Medicare & Insurance Issues, ProfessionalismTagged A Time to Live, Advocacy, Ageism, Aging, Baby boomers, Caregivers, Gerontology, Hospice, long-term-care, Medicare & Insurance Issues, ombudsman, Palliative Care, residents' rights, Retirement, retirement housing, Veterans. Next Next post: Do we have a moral obligation as a society to ensure that genetic engineering is pursued, or should we do everything possible to ensure that we do not open this Pandora’s box?